I have great news to share. 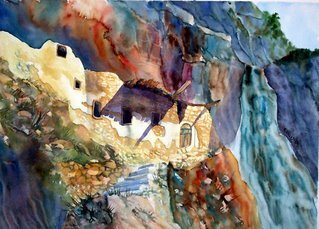 I have been selected by the prestigious Transparent Watercolor Society of America for their annual show of this year!! Out of around 450 or 500 artists, I was chosen!!! I am so excited and full of hope! I felt as if God has responded to me, and wanted to lift me out of my saddness. Wish me luck! What's the Transparent Watercolor Society? Can you paint my picture someday??? I am going to check for more picture tomorrow. You have such a great gift from GOD.